Sound fascinates me. For more than twentyfive years I’ve had synthesizers. Since the coming of software synthesizers my palette of sound synthesis has expanded into the digital. Collective Memory Generator was the first album in which I started using them. 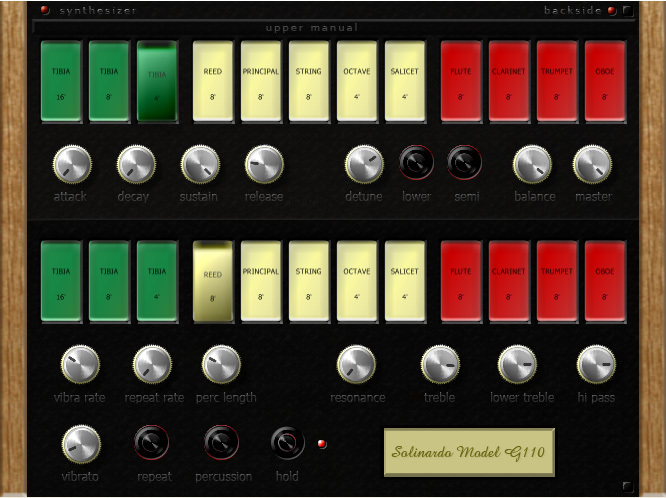 I came to realize that it was possible to make my own softsynth with Synthedit. 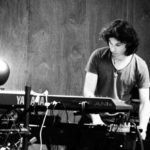 I had a virtual analogue instrument in mind that was easy to operate with an ‘old’ sound, a familiar, though different sound. One that I could play like the real synth that I don’t own, but wish I would. To play it through electric guitar stompboxes and a guitar amplifier, to get back the analogue feel, to get it out of the digital environment. Having said that…I still have some ideas and maybe if…. The instruments shown here are usable. 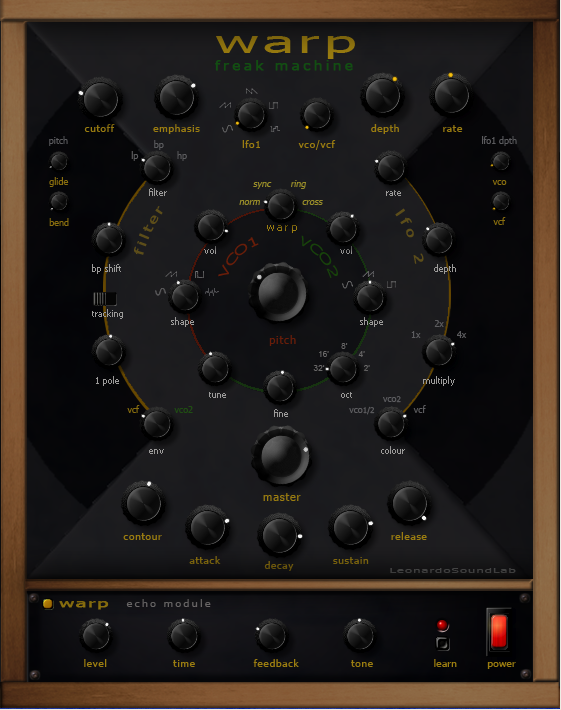 The Warp Freak Machine is a great instrument. Here’s a little demo I made on the fly, playing two layers. 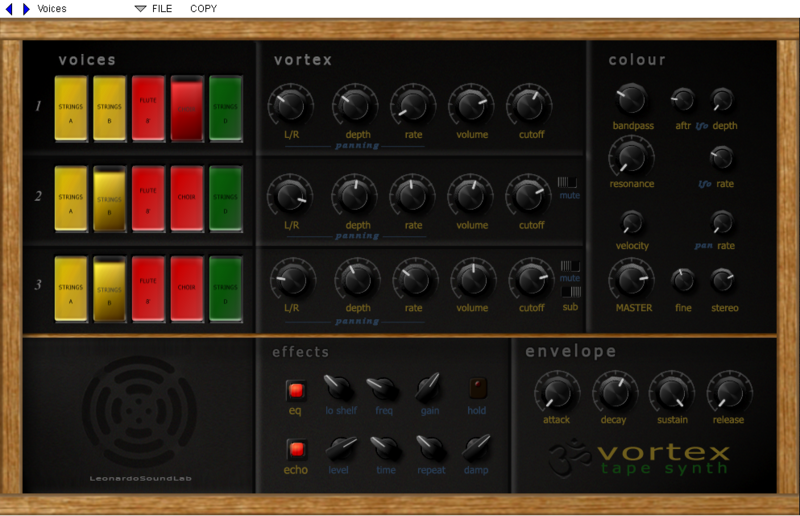 Warp Freak Machine VSTi This is a virtual anaolgue beast!! Solinardo Model G110 VSTi. 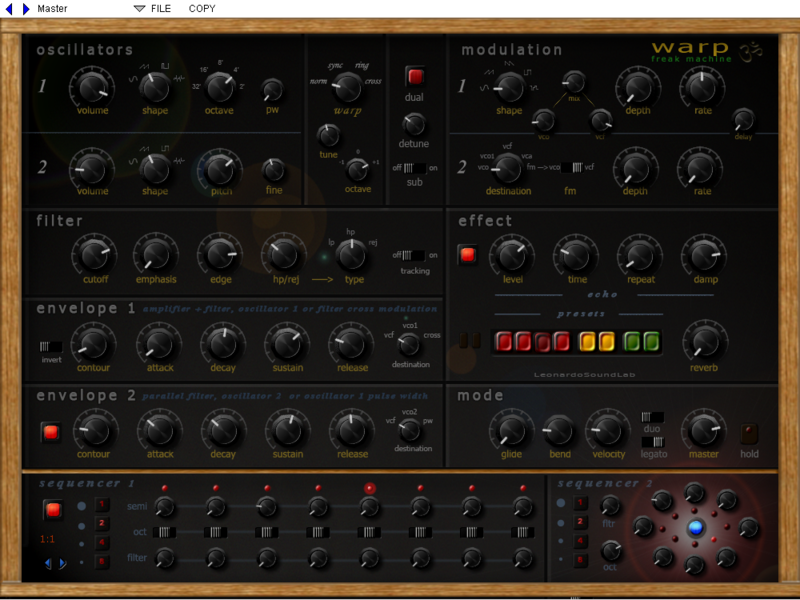 A virtual organ. So my studio has transformed over the years and 21st century analog has entered! Oh yeah! 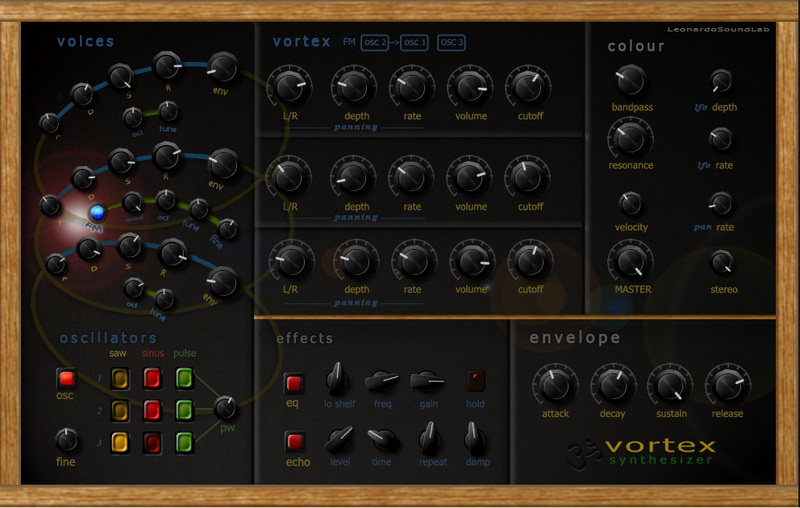 Vortex Tape Synth; this version is without the phaser. e-mail we can work something out if you have Paypal. Mind you, these are all experimental synths. But I have ideas about sound and I’m a musician, so they are highly usable.